Abundance: Uncommon to rare. 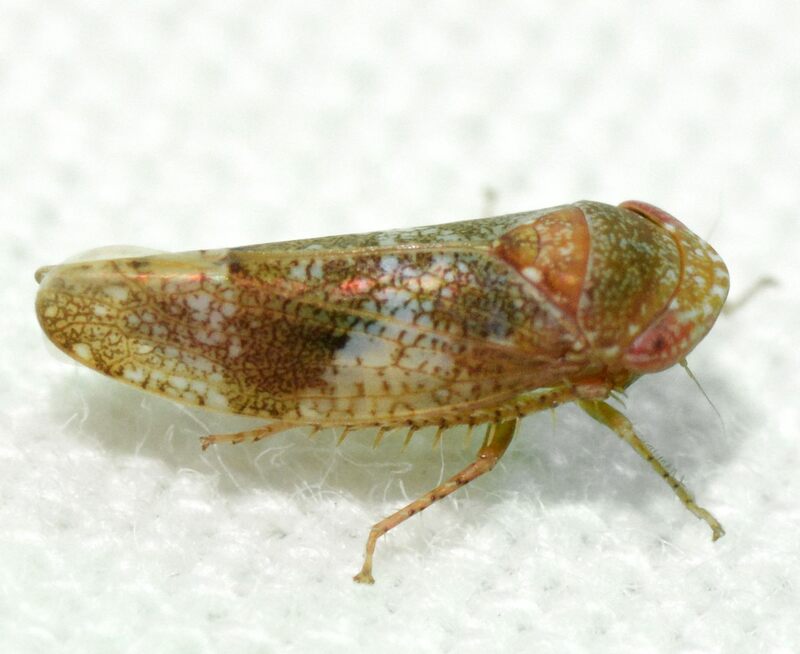 Recorded from a couple counties in the Coastal Plain; probably more abundant in the right habitat. Habitats: Has been found in mixed hardwood forest edge habitat. Behavior: Can be attracted with a light. Comment: This species very closely resembles N. chenopodii. 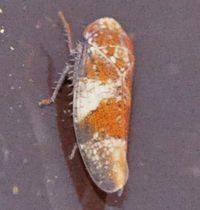 Ball (1939) stated that helenae was smaller (chenopodii is 4.5-5.5 mm) and had heavier brown vermiculations in the pale bands surrounding the saddle on the wings, meaning that the pale areas were not ivory like in chenopodii and instead were dirty in color. Helenae has a vertex that is proportionately longer, twice as wide than long and only slightly longer in the middle than near the eye; chenopodii has a vertex that is noticeably longer in the middle. The pronotum of helenae is as long as or shorter than the head, while in chenopodii the pronotum is as long as or longer than the head. Additionally, while the female pregenital sternite of helenae has a deep angular notch from which arises a strap-like process, whereas in chenopodii the margin is only faintly indented on either side of the strap. Lindsay (1940) and Ball (1939) noted the similarity between these two species but concluded that helenae replaced chenopodii in the southern United States, specifically "the entire cotton belt." While helenae and chenopodii had distinctive features in the extremes of their distribution (size, shape of vertex, shape of scutellum, degree of coloration and genitalia features), it appeared that the two species intergraded where their ranges met (in the central U.S., specifically Kansas and the vicinity). There was such a level of convergence in these characteristics where the ranges of the two species met that the two species were virtually indistinguishable externally, with even the male genitalia of the two in near agreement. This may indicate that the two species hybridize with one another, or are not truly distinct species. Chenopodii has been reported from North Carolina, but these are apparently mistakes and/or misidentifications; according to Lindsay and Ball, chenopodii does not occur in the Southeast so, presumably, all the southeastern specimens that look like chenopodii should be helenae. Further studies are clearly needed to determine the status of these two Norvellina.